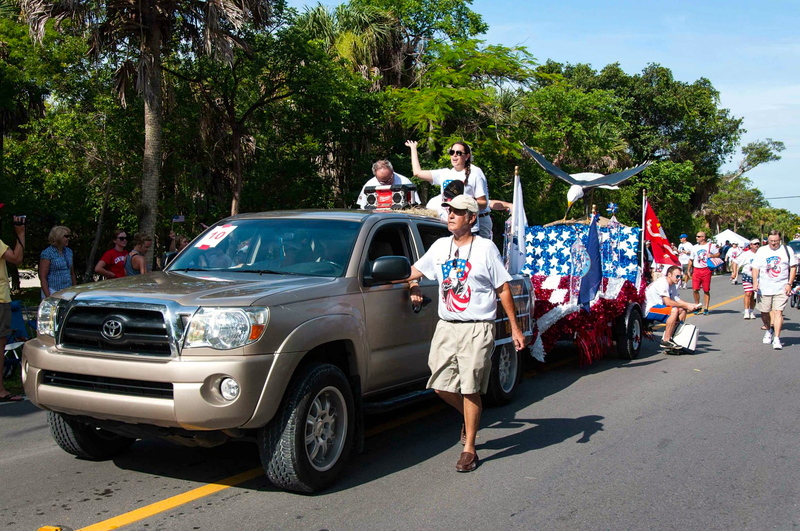 Day 21 of 100 Things to do on Sanibel & Captiva takes us to the Sanibel 4th of July Parade along Perwinkle Way. This annual event started 25 years ago by the Bissell Family. Most island business will have floats in the parade and will be tossing out candy and fun items. 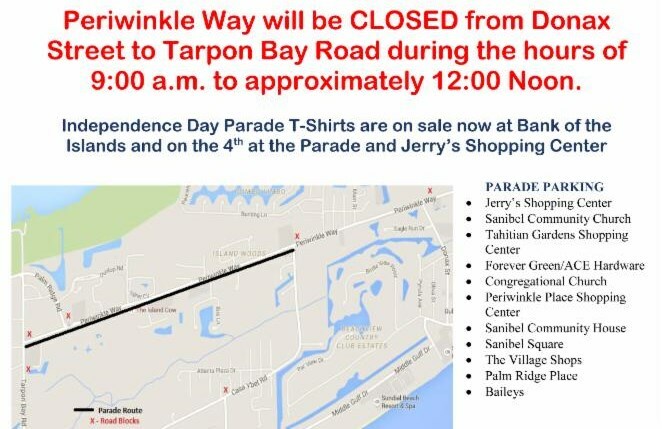 The parade begins at Bailey's Shopping Center at 9 am and continues down Periwinkle Way and ends at Bank of the Islands. 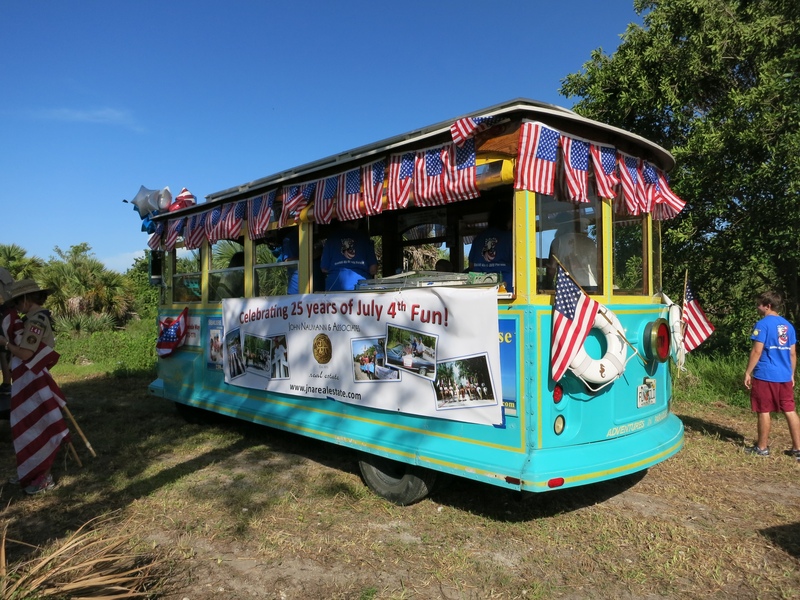 Be sure to come early to the Sanibel 4th of July Parade because the close the roads and you want to make sure you have a good spot. If you have a collapsable tent, bring one so you will have shade and be sure to bring chairs. I think the best place to park would be Periwinkle Place shops and find a spot in front on Periwinkle. If you get too far down at the end of the route many of the floats have already tossed out all of their goodies so many people are left empty handed. Avoid being at the very beginning and the very end of the parade because that is where the most people are and it is just a mob. 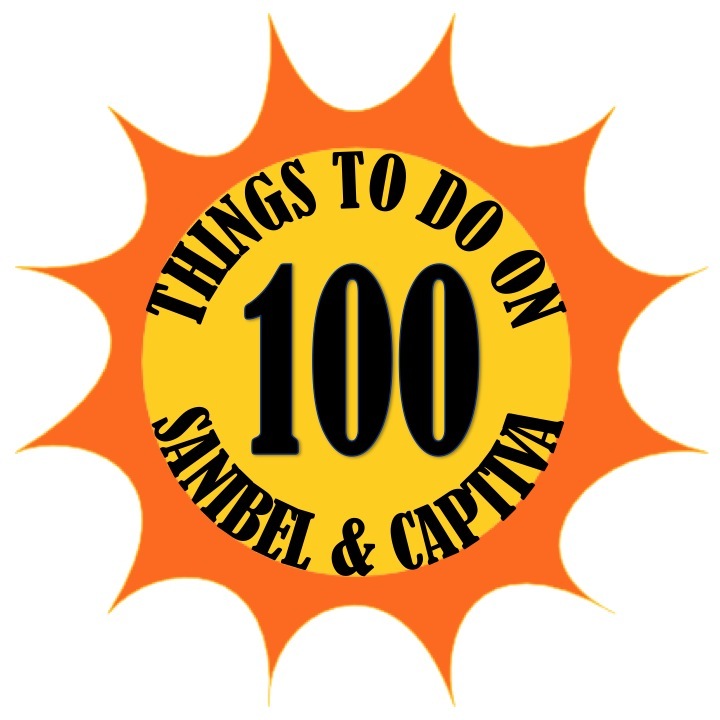 Check back after the Sanibel 4th of July Parade for videos and photos we took from the event! Be on the lookout for us with the John Naumann & Associates trolley with our GoPro camera filming! Thanks Ryan Rondina, owner of the Fort Myers Planet Fitness, for your awesome car! The company we work for, John Naumann & Associates Real Estate, also had a great trolley showcasing photos from the last 25 years of the parade. 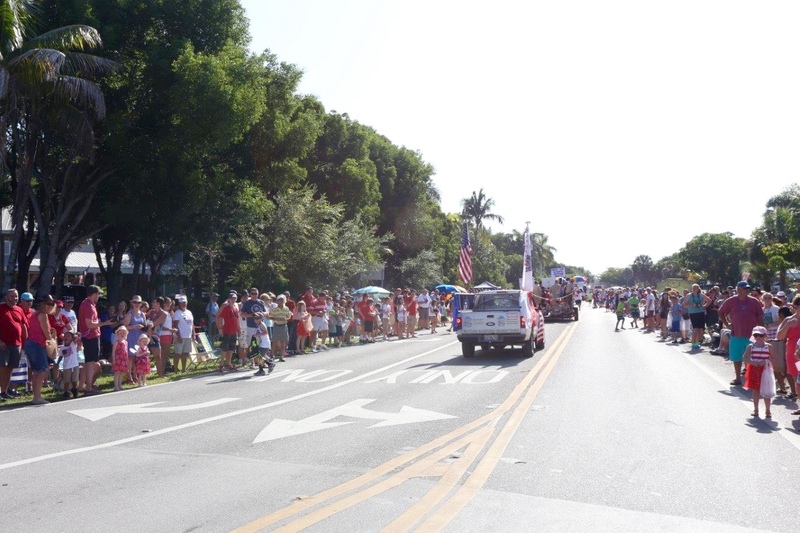 There was a great turnout for the Sanibel 4th of July Parade! We believe there were about 10,000 people lining Periwinkle Way. 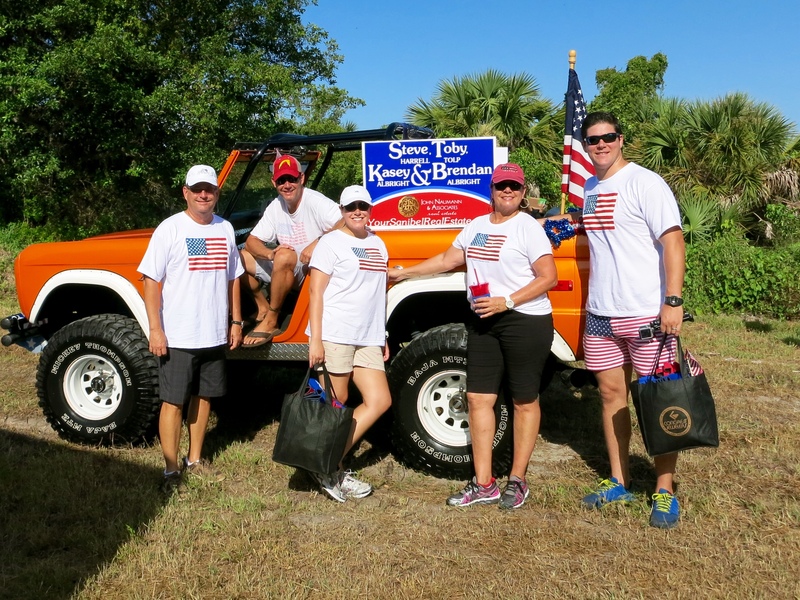 We had a great time at the Sanibel 4th of July Parade and we can't wait for next year!